Make broad strokes or sharpen to a fine point. 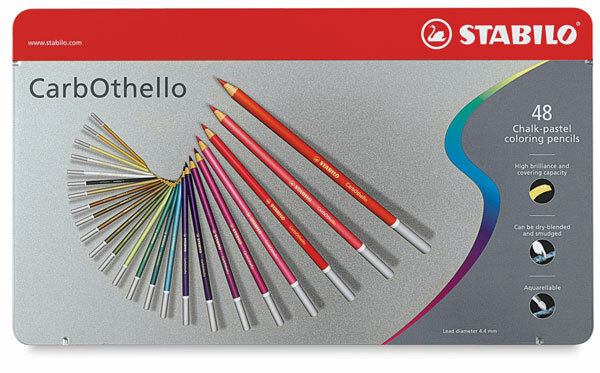 Draw like a pastel stick or watercolor pencil. Lightfast, opaque, watersoluble colors blend well and erase easily. Semi-soft leads, woodcased. Sets to 60, in metal box.